Width at the hamachi : 2.84 cm or 1.19 inches. 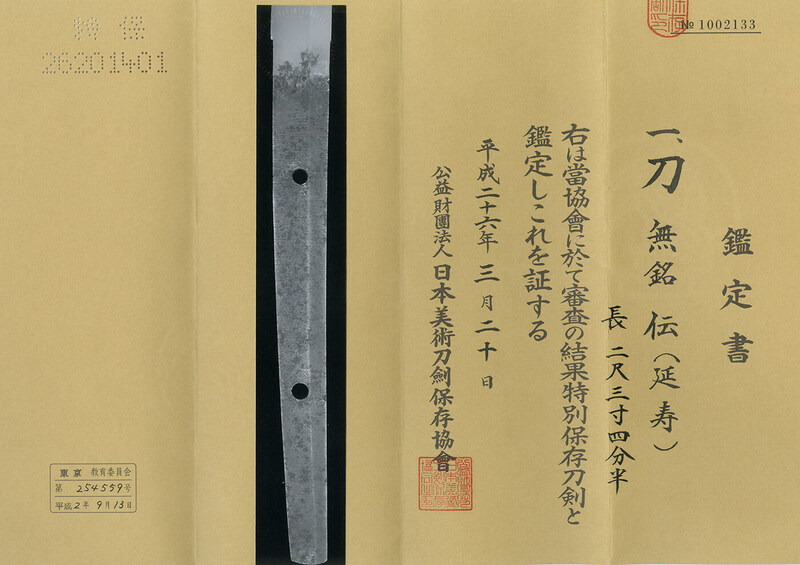 Width at the Kissaki : 1.78 cm or 0.7 inches. 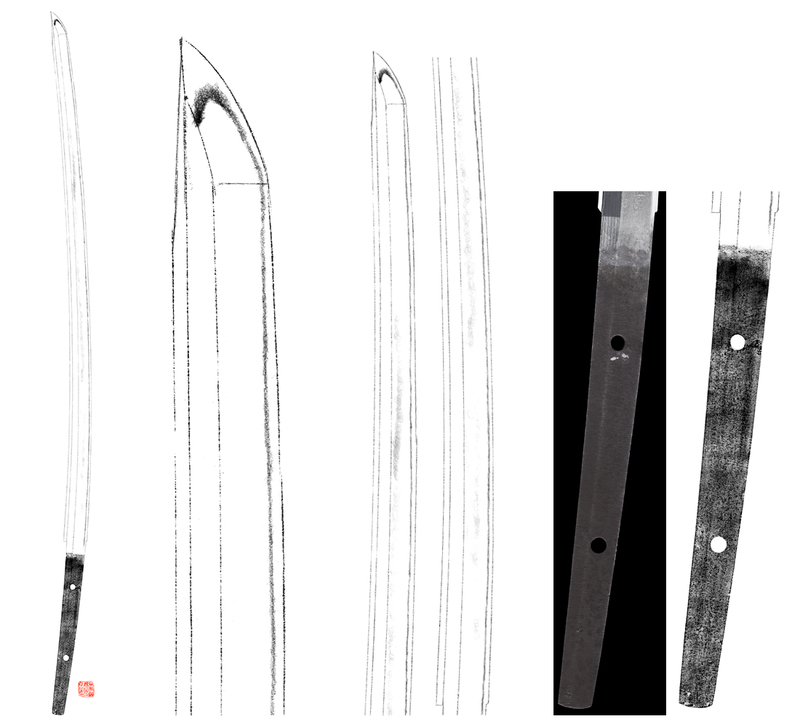 Shape : It is O-suriage mumei with regular width and thickness. There is deep sori with rather long kissaki. 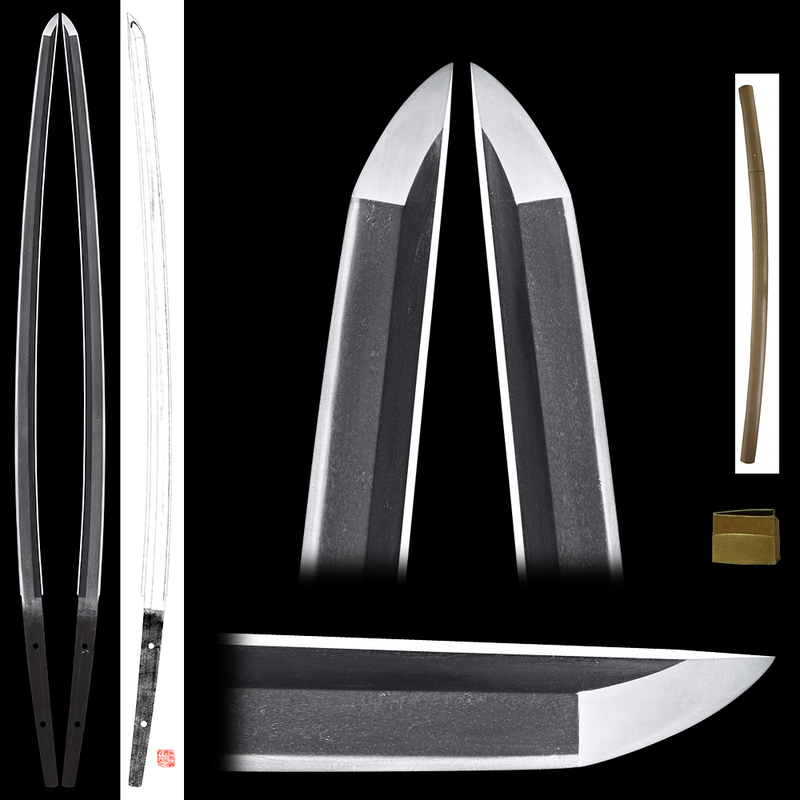 It is nice shape katana. Jitetsu :Koitame hada with mixture of mokume hada. Jinie is well attached and thin chikei works could be observed. Hamon : Nie structure suguha style with Ashi, Yo well attached. Boushi is big round end. and it is commonly accepted that he was a son-in-law of Rai Kuniyuki. school. This katana has nice jigane and it reminds of Rai Kunitoshi. and much activities could be seen in the ha. engraved and inlayed with gold. Saya: Dark brown and black Kawari unique style tsuba. From Aoi Art: The Jigane is quite beautiful.